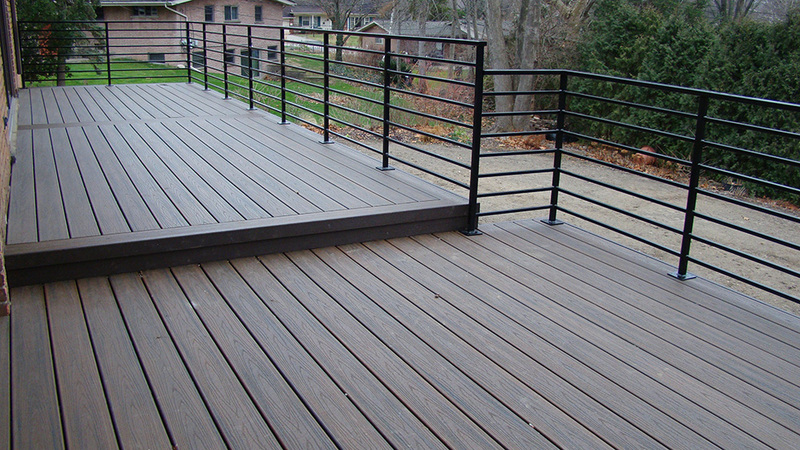 In the last decade, the deck industry has seen a revolution of new design railing system. Let’s explore various deck railing designs, lavish to simple, efficient styles. Installing aluminum or steel balusters is cost effective. These balusters either in steel or aluminum are easier options to add style to the decks. A box of these balusters holds approximately 10 nos each. The can be installed with the help of few easy install mounting hardware. There are available in a wide variety of color and styles including round, square, flat and baroque. 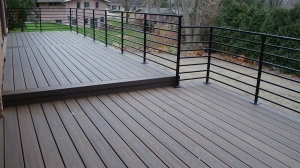 Great choice for a deck with a view are the glass or cable rails, sleek and modern looking. 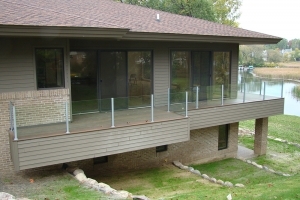 Glass railing often require support of aluminum frames for support. And tempered glass rails are sturdy and has refined edge for safety. With cable rails you can preserve views and breezes for hot summer afternoons. These low maintenance materials becoming more popular over time. 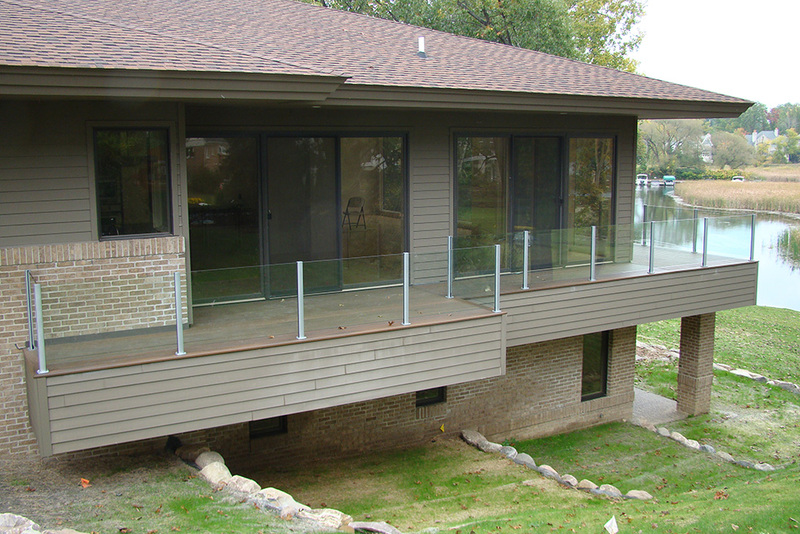 Composite railing systems are manufactured to match the appearance of composite and vinyl decks. These are sold in easy to install 6′ and 8′ kits, which can be installed between 4×4 rail posts. These rails are competitively priced, cool to the touch and easy to install.